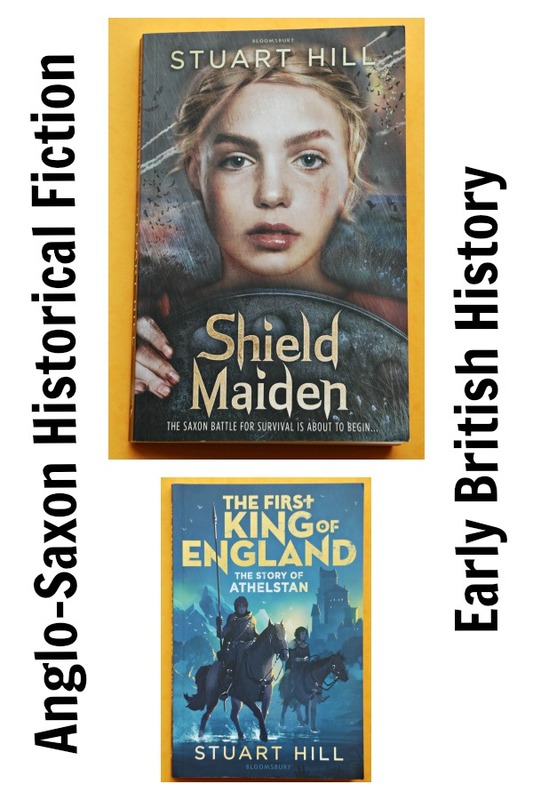 The kids have loved all the Anglo-Saxon Historical Fiction books that we have been reading and although the books are very good at explaining which sections are fact and which are fictional I still wanted to reinforce some of the Facts and especially the order of events. So we once again we dug out our Early Kings of England: Band 14/Ruby (Collins Big Cat) reader and reread it together. This little reader has been read and reread multiple times by us. When we first looked at the Vikings last year we read it for context, when my daughter was creating her timeline of Anglo-Saxon Kings she used it extensively for information. Really for a reader (yes this book is part of a reading scheme) it has been so incredibly useful for our History projects. So even though I have mentioned it a few times in multiple posts I have not actually written a proper “what is included” post about the book. So here goes. It starts with the Romans leaving Britain in the early 400’s. Then the Angles and Saxons start invading and we get leaders like Hengist and Horsa, who were not really Kings but still significant leaders at that time. It talks about general Britain during that time – how the land was divided, Serfs and Masters, Sutton Hoo, the famous attack on Lindisfarne. All of this gives good background to the life during those times. Then Alfred the Great, the King of Wessex – how he fortified bridges and built burhs, the treaty with Guthrum which lead to Danelaw and of course his children. Edward the Elder who took control after Alfred the Great and who was father to Athelstan the First King of England. Then Edward the Martyr and Athelred the Unready. It also talks about St Brice’s Day and how that lead to Swein Forkbeard’s invasion and fight with Edmund Ironside. It continues with Emma of Normandy, Cnut the Great and Edward the Confessor until we get to the Battle of Hastings. So it covers a lot – not only the line of rules from Edward the Great until the Battle of Hastings but it also talks about the general environment at that time, key events, battles and other significant figures and really gives a build up to the Battle of Hastings. This book is written as part of the BIG CAT reading series by Collins so it is aimed at children in Key Stage 2 years which means it is not a detailed account of every little event that happened. But we like that. For us this book has neatly summarized the key events, key characters and how they were all linked. 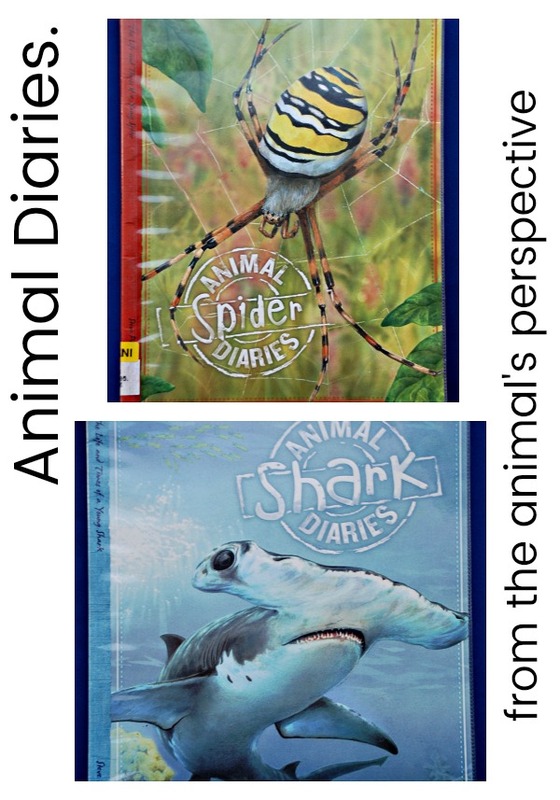 It has been a GO-TO resource for both my kids and myself (yes I admit when I have not been sure about a few facts I have found this little reader very useful to dive into and quickly check 1 or 2 items). It is a great summary and a “brilliant building block” for this historical period. It is one of those books that my daughter has turned to time and time again as she has further investigated the Anglo-Saxons, for the very reason that in order to do more detailed research she needed to understand the Key characters and events of that time. And this book did just that for her it was her springboard. For my eight-year old son this book was exactly the right fit – not too much detail but enough that he could understand what happened and who did what. For a reader we have found this to be a little historical gem that we have used over and over and I have a feeling it will still get dug out again in the future. With my daughter’s current interest in the past British Kings and Queens I have been looking for a comprehensive book for her. We have a couple of books that deals with individuals or groups of Kings and Queens but nothing that covers all of them. I happened to spot the Kings and Queens (History of Britain) at our local library and immediately brought it home for her. It has been such a hit. This book is perfect for her current interest and I really have been so impressed with it that I am going to be adding our own copy to the family bookshelf just because I think it is a little gem of British History for the kids. So here is what is included it this book. It starts with the Rise of the Kings and it the perfect starting point because it explains the background to how Alfred the Great came to be King of Wessex. I really liked that it includes this as at the starting point and does not just launch into Alfred the Great. The kids need to get that understanding that Britain was a land of tribes with warrior chiefs and a land of multiple invasions. It also talks about Wales and Scotland which I thought was good because I want my kids to understand that they were originally separate Kings. They do talk about the significant battles – like Battle of Hastings but not in detail (and that is the same for other battles – the signficant ones are mentioned but it is never in a lot of detail). It goes onto the Normans and again they bring in a section called fighting for Scotland which I thought was good. Then the Plantagenet, Balliol and Bruce which really cover the Medieval Kings. Onto the Stewarts, Lancaster and York – my daughter has been reading a lot about the Tudors recently and she really liked this section as it gave her a lot more context and background to the build up to what happened later. And then the Tudors and Stewarts. As I mentioned this is an area we have been reading about but even still I noticed my daughter took her time going through these pages. She still found them informative and actually a few times she paged back to remind herself of something. For me this is what makes this book so special, it gives context to so much of the History that we take for granted. And it explains a lot about the times, by reading about the ruler you get an excellent insight into how the country was changing and evolving over time. Henry VIII is covered in more detail compared to most other Kings but then I think we do consider him a significant ruler (8 pages in total). My daughter’s one complaint about this book was that Mary I, Elizabeth I and Mary Queen of Scots were not covered in more detail – but that really is because she finds these 3 so fascinating and is reading everything she can find about them. Next the Stuarts. (which is about where my daughter has reached). Again they have included context for the kings which I find very important. A bit about the religious issues of the time, issues with parliament, the civil war and a section on Oliver Cromwell and the Dutch invasion. Then the Hanoverians. We have skipped ahead and already read the 6 pages on Queen Victoria just because she was an impressive Queen and my daughter commented on the Family Tree that was included here. There are family trees through the book which are very useful but this one got particular attention because it showed the link between Queen Victoria to Queen Elizabeth II. After the Windsors they have included another very useful section called Factfiles which breaks down some royal information like the different jewels, palaces, awards and ceremonies. So although this is a book about the concession of the Kings and Queens it also includes the events of the time which makes sense to me. You need to be able to put the various Kings and Queens into context and this book does just that. And by doing so it really does become more that just a list of Kings and Queens that ruled Britain it does become a wonderful summary of the British History starting with Alfred the Great and going through to Queen Elizabeth II.